Could Instagram Be the Next Reservation System for Restaurants? We’ve talked about food photography. We’ve talked about Instagram stories. We’ve talked about general Instagram marketing for your restaurant. But let’s be honest, pictures don’t just say a thousand words; they are a vital tool to attracting people to your restaurant. And now, thanks to Instagram, the photo-sharing platform could be a powerful new tool for booking restaurant reservations. And coming soon, you can harness the power of those 500 million users to get more restaurant reservations. Instagram released a blog last week announcing their plan to roll out a “booking” feature for businesses like salons and restaurants. The feature is expected to making its appearance in your Instagram feeds in the next few months. So, let's discuss how restaurants can benefit from this new feature. Let’s say someone is scrolling through their Instagram feed and they land on your delicious-looking picture of that Porterhouse steak doused in garlic herb butter that you posted a couple of hours back. Well, now they can click on the photo, go to your profile, and make reservations at your restaurant within a few simple steps. They get to enjoy that steak in person rather than simply salivate over a photo, and you get more business. Seems like a win-win for everyone, I think. Now, your food photography could be even more important than ever. 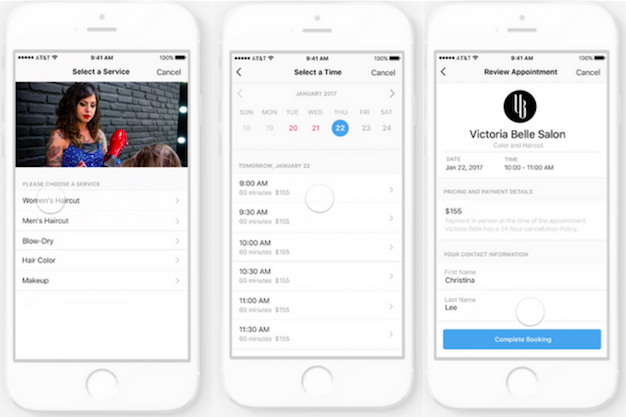 What will Instagram Booking mean for other reservation sites? To be honest, the exact impact is hard to measure, as they’ve just announced the feature to be rolled out. 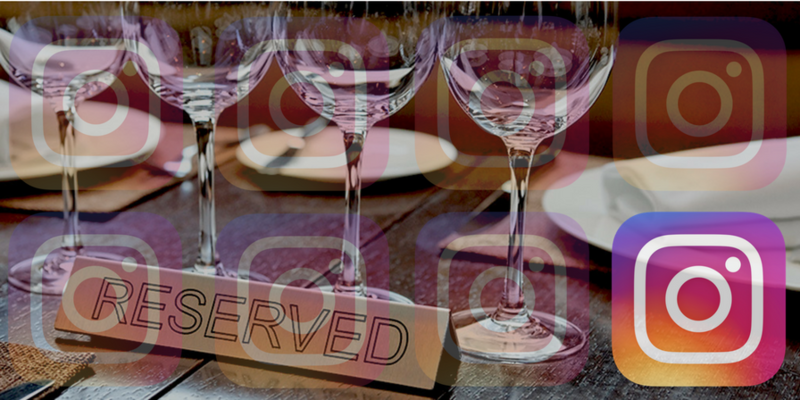 Still, with another resource for restaurateurs to garner restaurant reservations, Instagram’s booking feature pits itself against popular reservation sites like OpenTable, Reserve, and Yelp. While it is difficult to know concretely how this will affect restaurant reservations, Instagram’s growth numbers are impressive. In the last year, Instagram’s business reach has proven itself as a substantial force in the restaurant marketing and advertising world. Instagram advertising pulled in $595 million in its first year of existence in 2015, and that number doubled in 2016, according to eMarketer. Not to mention, according to CNBC, Instagram has over 600 million active monthly users as of December 2016. Eighty percent of those users follow at least one business. Instagram also just reached the 1 million advertiser mark. Comparatively, OpenTable seats 21 million diners a month and Yelp Reservations has 80 million diners in its network. While these sites tend to be the major channels in the restaurant reservation system network, Instagram has such a wide reach that it could have significant impact on the restaurant reservation process. Another reason that it is so difficult to understand the full scope of impact is because Instagram has been keeping the exact details of the feature on the down low. For instance, it is still unclear whether or not potential customers will be able to choose a time and confirm the booking all within the Instagram app, or if it will have to link to an external website for the restaurant. Small details like this are still vital to comprehending the full scope of the feature capabilities. How will the booking feature impact your Instagram metrics? There are a few main metrics that track your Instagram efforts within your account, including profile follows, photo comments, likes, and more. Those will continue to be important to measure social engagement and to build a strong following, like many successful restaurants have been able to do. At the same time, it is hard to measure the success of a popularity contest. The new feature, however, will give Instagram’s more than 1 million active advertiser’s a new, concrete way to measure the business impact and ROI of their accounts, according to James Quarle, the app’s head of business. As he told Bloomberg, “When someone books an appointment, that's not a 'like' or a 'follow,' that's actual action.” The company may eventually add more tools, like reviews. Did You Know? - 69% of restaurants are on Instagram. Are you? Quarles comment makes perfect sense; for every dollar that you spend on ads driving to the reservation posts, you’ll be able to attribute actual reservations and sales for your business. For instance, if you were to spend $1,000 on a reservation ad and booked 50 new reservations for the ad, you would be spending $20 per new customer reservation. It’s definitely worth looking into, and the earlier you start, the quicker you can learn the potential impact for your restaurant. Keep an eye out for the Instagram Bookings feature across your Instagram social media platform in the upcoming months. Do you plan on using the Instagram booking feature for restaurant reservations? Comment below with any thoughts, questions, or ideas!